Bridget Dole comments, "I am reminded of something I read about the raising of silkworms and how the families with silkworms in their attics were very careful of the silkworms' moods. They were careful not to make loud noises, display discord, etc. because they needed the silkworms to spin uninterrupted (a cocoon is made of one long strand of silk. If a silkworm stops spinning, it may not have enough silk left to make another cocoon). Anyway, I'm just wondering if toraruru could be translated to indicate the catering of the people to the silkworms." He comments, "It is Issa's humor to show the odd combination of the hasty manner and the soothing. Nevertheless, Issa's sketch is accurate and skillful. It is a hasty manner because the farmers are so busy; the soothing half-hearted only because it is the custom." Shinji Ogawa explains that ya-uchi shite means "the whole family." 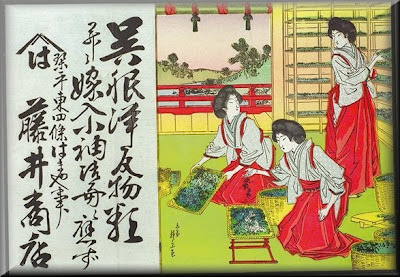 They all gather 'round to serve the silkworms a "night meal" (yashoku) of mulberry leaves. 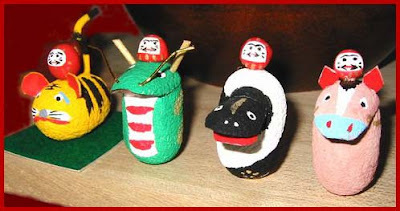 on the first Day of the Rat in the First Month, a child, or a woman born in the Year of the Ox – and called a Keeper Maid (kaime 飼女) – sweeps the silkworm house and makes the first celebrations. Next, on the first Day of the Horse in the Second Month, the first silkworm eggs are laid out, and kept warm. On the first Day of the Horse in the Third Month, the silkworms are given mulberry for the first time, and in the Fourth and Fifth Months, he says, the cocoons are spun. People have dumped out little "mountains" of silkworm waste. According to Bridget Dole, silkworm droppings are "blackish green." 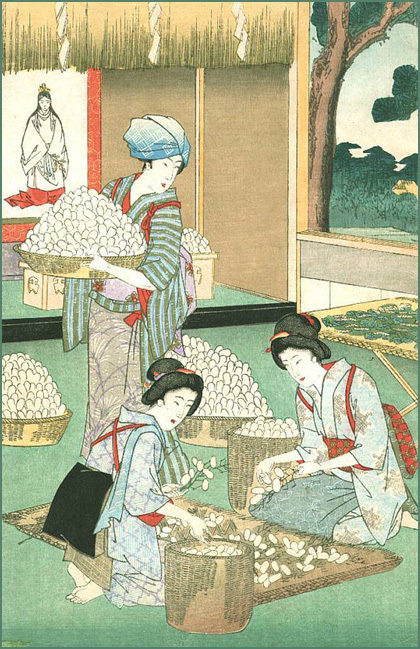 About this curious haiku, she speculates, "Maybe when [the silkworms] are in the cocoons, everyone cleans out the rearing trays at the same time. The size of one's 'mountains' would be an indication of success." This hokku is from the 3rd month (April) of 1818, when Issa was in the area just east of Edo. It is surrounded by several other hokku about silkworms in which Issa evokes people eating and living together with the worms. 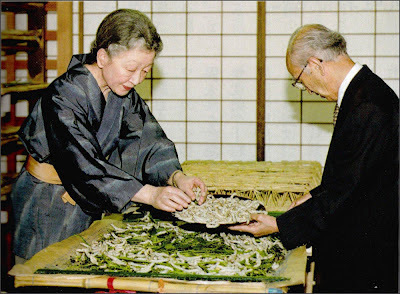 In all of the hokku, Issa seems impressed by the way the farming people regard the silkworms as members of their families and treat them well, even using honorific language toward them. Surely Issa was aware that the silkworms slept or went into a period of inactivity for ten or more hours before molting (usually four times), but he nevertheless felt similarities between the young silkworms and sleeping humans. In the hokku the silkworms are in one of their long sleeps, and the people taking care of the worms have some free time and take a nap. To Issa there seems to be something special about the way the silkworms and humans are sleeping that he doesn't feel when he sees a dog or cat sleeping indoors. In contrast to a single pet, a great many silkworms are sleeping peacefully together even though they are crowded onto a tray, and the mutual sleeping during the day of the respected silkworms and the humans perhaps turns the whole room into a large, harmonious tray. This hokku is from the 8th month (September) of 1815, when Issa was in and around his hometown. Silk moths are usually a summer word, but the season here is autumn. In the hokku Issa refers to part of the silkmaking process, which he seems to have observed. 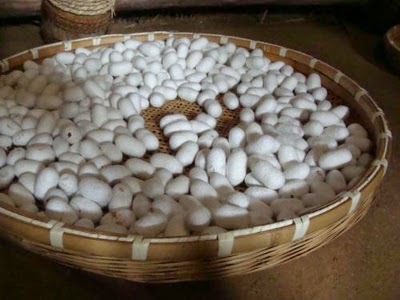 In silkmaking, silkworms are divided into those which will be used for breeding and those, the majority, which will be used for creating cocoons that will later be unwound to obtain a silk filament up to 1.5 km long. It takes about two weeks for a silkworm to create its cocoon, and during that time it becomes a pre-moth shape (a pupa). If they were allowed to mature and break out of the cocoon, they would make the silk filaments unusable, so most of the cocoons are boiled in hot water to kill the pupae before they break out. Later the pupae were often fried and eaten by humans and farmyard animals. Even today, pupae simmered in soy sauce, a form of tsukudani side dish, is sold in supermarkets in Nagano Prefecture, the modern name of the province in which Issa's hometown is located. The silkworms that are allowed to breed, on the other hand, leave their cocoons and quickly begin to mate, and the female silk moth lays hundreds of eggs. The moths can't fly and have no mouths, since they have only one main purpose: to reproduce. Then, after 7-10 days, they die. Issa says the silk moths have been washed away, so presumably their trays have been washed and the dead moths have been left in a heap somewhere out behind the farmhouse. The silk moths in the hokku lived and died during the summer, and now, in autumn, their bodies are dried out and lighter. An autumn wind is blowing some of them like leaves into the air. For a moment they seem to be alive again, as if they were flying at last. One of my neighbors told me her grandmother used to work raising silkworms. I asked her if her grandmother thought it was very hard work, but she said her grandmother really enjoyed it. 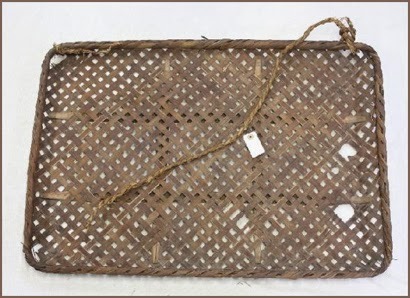 Her grandmother also said that the silk from silkworms that were treated well, with a lot of kindness and care, was consistently of higher quality than the silk produced by people who didn't treat the silkworms as if they were their own children. In Issa's time it was common to call silkworms ko, "the children." In the 5th Century CE, the world was a much more isolated place than it is today but it was still interconnected. Most people lived and died within 30 miles of where they were born. Yet even then, the world was an interconnected place where the far reaches could touch one another. Travel was restricted to by foot, horseback or boat. Regular communication depended upon trade routes or carrier pigeons. However, distance and geographical isolation did not prevent distant parts of the world from knowing about each other. The impact of foreign countries within a given country in the ancient world, both near and far, raises some interesting questions about interconnectedness, influence and the impact of telecommunications and air travel on the modern world. In former times, the Cat was an important "Deity" to help protect the silk worm farmers from the many mice. Mori Wajin doubled this deity with Yakushi Nyorai. O-Suga Sama was the wife of the Shogun in Edo. He had been up in Ezo エゾ (Northern Japan and Hokkaido) and since she missed his love so much, she came after him. 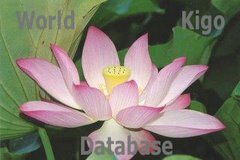 But she fell sick on the road and eventually committed suicide by drowning in a nearby pond. She was the youngest of three sisters. When she was a child she liked to roam the forests and look for silkworms. She fed them with leaves and cared for them. neesan kuu wa ねえさん食うわ. Since then the leaves were called "kuwa クワ". When her husband passed the area on his way back, he dreamed that she has become the mist on mount 高井原山 Takaraibarayama to moisten the kuwa leaves. Her name was actually "O-Sugi お杉", Lady Pine, but that turned to "O-Suga" in the local dialect.
. kuwa 桑 mulberry tree . They painted cats on pictures to hang up in the kitchen or loft where silk worms were kept to chase away the mice. 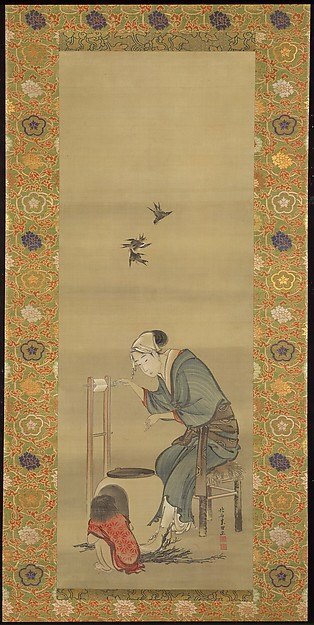 Raising silk worms was a good business in the Edo period, and mice were the worst enemy of the farmers. watch the "eight directions" 八方にらみの猫 (happo nirami no neko).
. mayudama 繭玉 (まゆだま) "silk cocoon balls" . 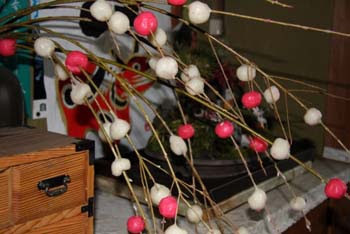 On January 31 silk farmers prepare these 繭玉 balls from a dough of rice, wheat and millet flour. They are called oni no medama 鬼の目玉. They hang them at the entrance and windows as a greeting for the Deities. When an Oni passes the home, he is afraid of these huge "eyeballs" and runs away wast.